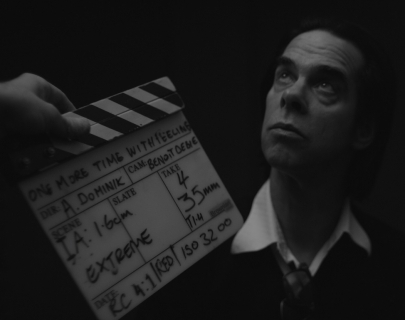 A unique one night only cinema event directed by Andrew Dominik (Chopper, The Assassination of Jesse James by the Coward Robert Ford, Killing Them Softly), One More Time With Feeling will be the first ever opportunity anyone will have to hear Skeleton Tree, the sixteenth studio album from Nick Cave & the Bad Seeds. 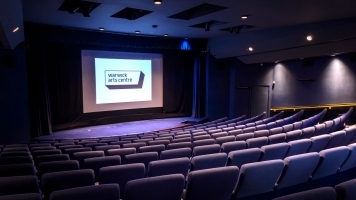 The film will screen in cinemas across the world on Sep 8 2016, immediately prior to the release of Skeleton Tree the following day. Originally a performance based concept, One More Time With Feeling evolved into something much more significant as Dominik delved into the tragic backdrop of the writing and recording of the album. Interwoven throughout the Bad Seeds’ filmed performance of the new album are interviews and footage shot by Dominik, accompanied by Cave’s narration and improvised rumination. Filmed in black-and-white and colour, in both 3D and 2D, the result is fragile, raw and a true testament to an artist trying to find his way through the darkness.